2017 has been an interesting year for music, for realisations, for speaking out and for making changes. Personally, I made a big move to another country (Switzerland) which has been overwhelming at times. I got a job fairly quickly and I’m still trying to figure this country out but mostly I feel settled here. I thought I should say something here because it’s been at least one hundred years (four months) since I did and somehow a round-up slipped my mind in 2016. It’s been a busy year for writing and sadly this little blog has suffered due to other commitments. I continue to write for Metal Hammer and recently joined the team at the Quietus. I’ve written for Noisey a number of times this year and Scene Point Blank continues to be a big part of my writing life. This year I contributed to Metal Hammer’s Top 100, the metal list for tQ and Scene Point Blank’s Top 25 – which will be a more general list that includes things other than metal but here on Bleak Metal I will list a few records that I enjoyed very much this year. 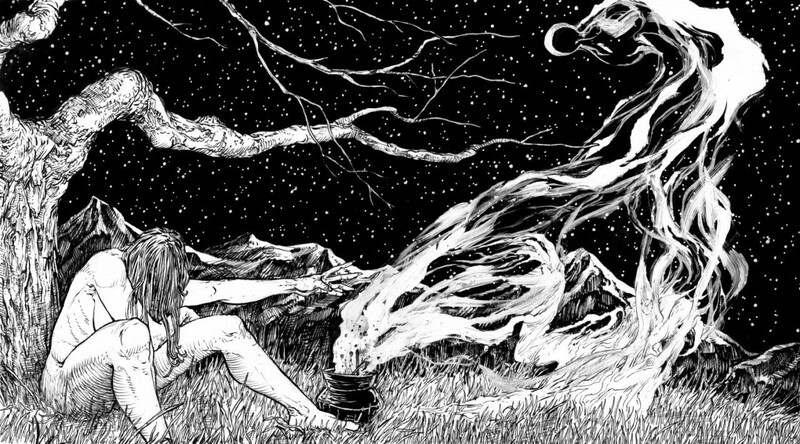 2018 has already begun in the writer’s world and I’ve heard a few records already – Watain’s Trident Wolf Eclipse, Tribulation’s Down Below, Portal’s Ion, Summoning’s With Doom We Come and Erdve’s Vaitojimas – and so far the calibre of music coming out in the first few months of the new year is extremely high. My plans are to do more here on Bleak Metal (which I say every bloody year) and as long as my hands don’t fall off then it should be possible. Thank you for reading this little blog and for taking an interest. Cult Of Luna’s curated Beyond The Redshift festival was an incredible experience. Each and every act I managed to see impressed and the organisation and atmosphere of the whole event was extremely on point. There’s something very special about being able to look out across a venue and see hundreds of people collectively lose their minds to what is happening in front of them. Beyond The Redshift was fantastic and so I’ve collated some little write ups and a few pictures and videos (taken with instagram, naturally) in order to somehow express just how enjoyable the day was. As I’m a one person publication and a girl has to have a break to eat now and then, I wasn’t able to see everyone I wanted (God Is An Astronaut suffered due to a much needed coffee break) but I caught a good majority of the groups I was interested in. Bleak Metal is very excited about the inaugural Beyond The Redshift Festival which is taking place across three London venues on May 10th. The Cult of Luna curated event is primed to be a wonderful day of interesting music with each band carefully chosen due to the aesthetic and atmosphere they bring to the live arena. Having been lucky enough to witness a few of these bands on stage already, I’m very much looking forward to experiencing their full aural attitude along with some new names to my ears and eyes. I wanted to bring attention to a few of the bands I am already eagerly anticipating – both acts that I know will enthrall as well as those which I am yet to encounter. The line-up is incredible and for the very first event is downright too good to be true. Let us take a closer look at Beyond The Redshift and the bands involved. “We will have Klas join us for a special two-hour set. We don’t like talking about set lists so we won’t discuss what songs we will play. We’re taking the audience through a show, a rollercoaster of dynamics; we don’t want to destroy the surprise element. We’ll reveal exact stage times for all bands soon, but you should know that all the other bands in The Forum will play full one-hour sets, as will Amplifier in The Dome. The venues are a 7-8 minute walk apart, and The Forum and The Dome won’t clash, so hopefully you’ll be able to see everything you want to see. 2012…it was the best of times….it was the blurst of times. 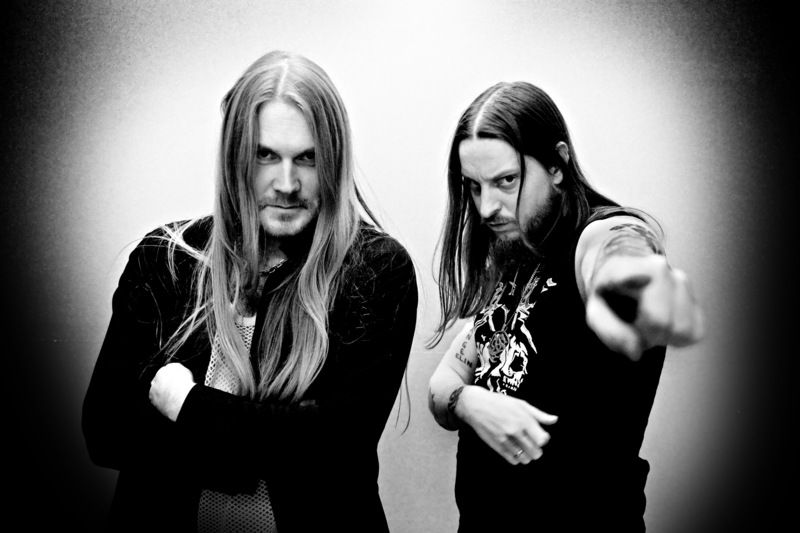 Here’s a picture of Darkthrone hanging out to break up the seriousness. Oh, you guys!